Winegard's New TRAV'LER DIRECTV Satellite Dish HD Antenna!!! All TRAV'LER Dish Antennas Stow at 10" Inches for Transport!!! Ideal for DIRECTV customers interested in receiving the maximum number of standard channels but not as interested in HD programming. This 3 LNB reflector dish simultaneously receives programming from KU band satellites 101, 110, and 119. Each receiver will require at least one coax cable. Refer to receiver manual for wiring details. Consult your receiver manual if you have any questions about whether your receiver is compatible. Built on a re-engineered mechanical platform. The TRAV'LER's stable base provides uninterrupted signal acquisition during strong winds and adverse weather conditions. Manufactured with approved DIRECTV Reflectors. 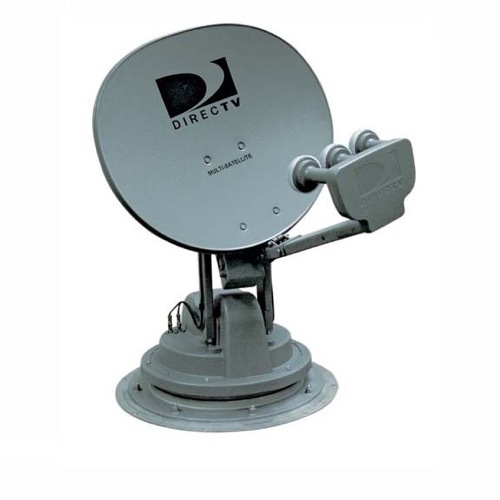 Get the highest signal strengths in the mobile market with approved DIRECTV reflectors. Compatible with virtually any DIRECTV receiver, including HD and DVR receivers. Connects to up to 3 receivers. Stows to a low 10" travel height. The TRAV'LER's stable base provides uninterrupted signal acquisition during strong winds and adverse weather conditions. Please Note: Summit Source Requires that Insurance is Purchased with this item. This product is shipped with F.O.B. terms, and we will not be held responsible for Damage caused by shipping.